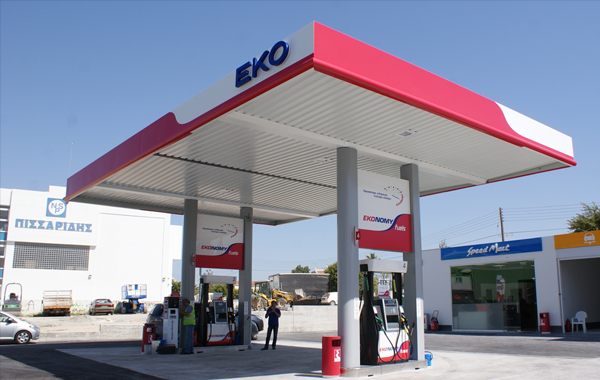 On 31.12.2002, BP Cyprus Ltd was bought out by Hellenic Petroleum International AG, and was renamed EKO Cyprus. The company’s administration determines, provides, and maintains the necessary infrastructure for the provision of services and products, and their alignment with customer preferences. Privately-owned offices in Larnaca, of a total area of 300m2. Rented offices in Limassol, of a total area of 700m2. 19 tanks for fuel storage in Larnaca. A loading station for tanker trucks. LPG bottling station and loading of bulk LPG on tanker trucks. A lubricant factory, under the name “Supelube Ltd”, which is specialized in the production and mixing of lubricants. The company participates in this scheme as a major shareholder.